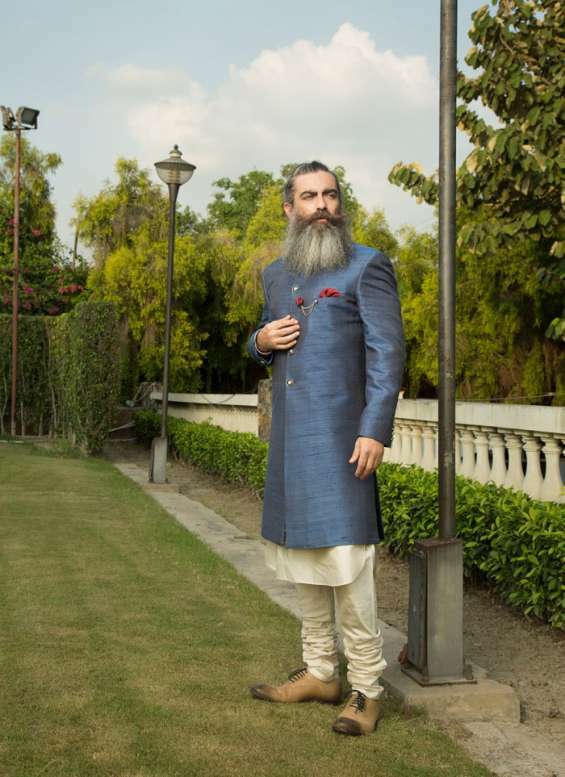 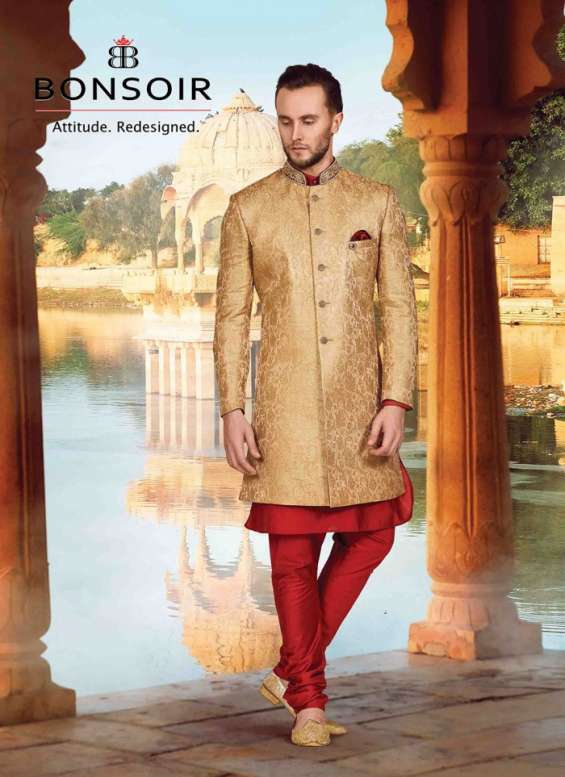 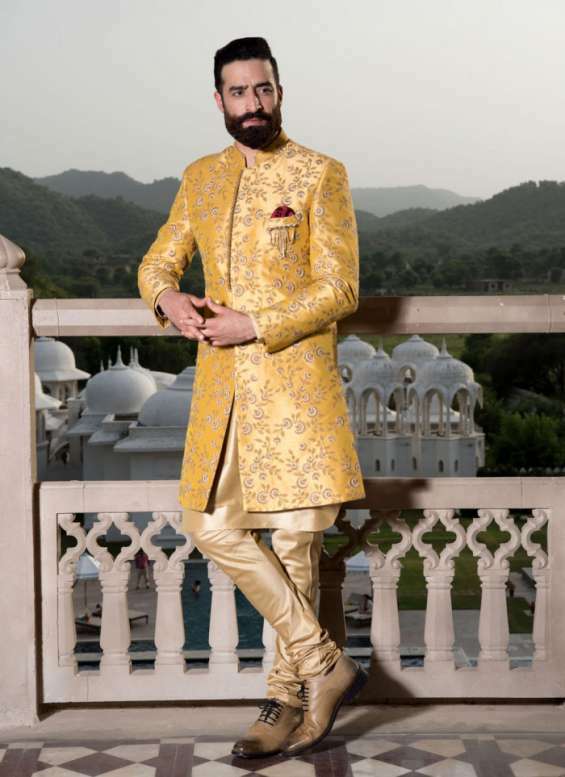 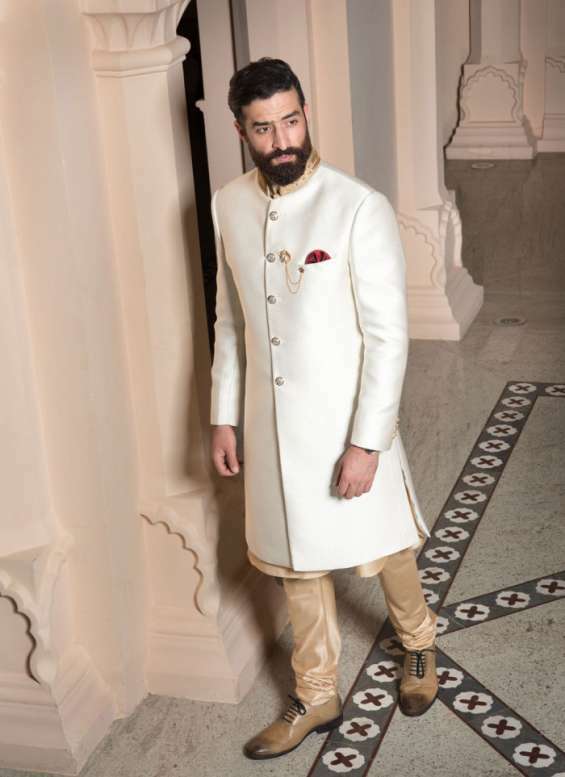 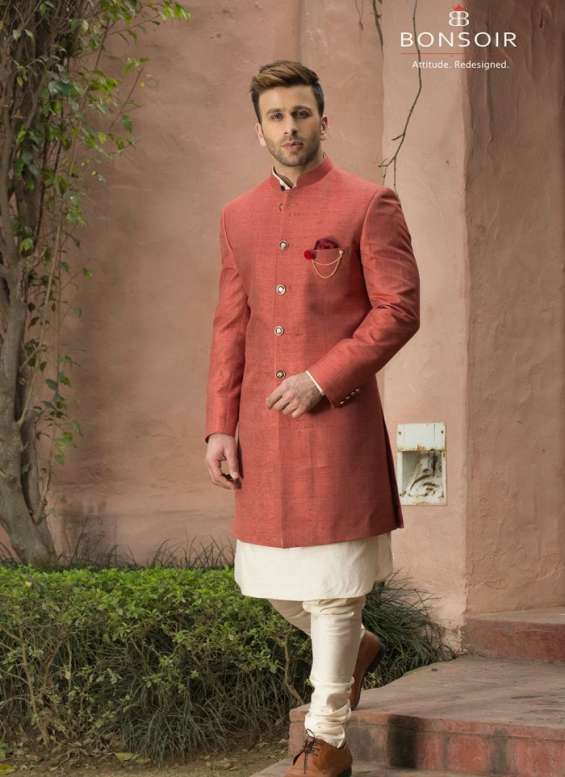 Buy Designer Achkan Style Sherwani Online: Party Wear indo Western Suits Menswear and Indo western outfits for men. 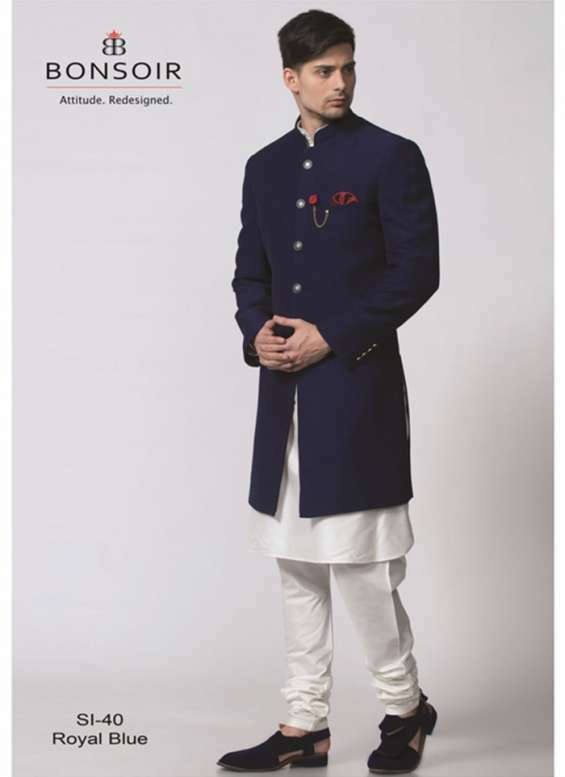 We provide the latest collection in Indo Western clothing at Bonsoir. 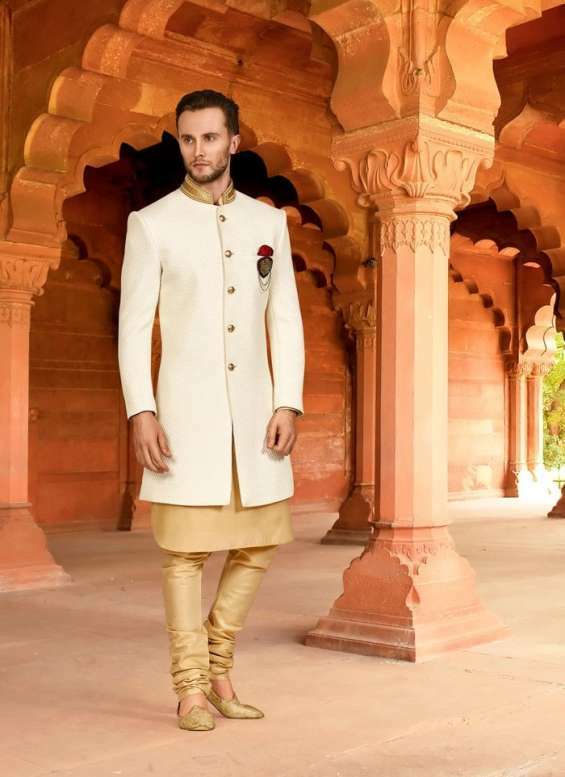 We want to sell women designer cloths..